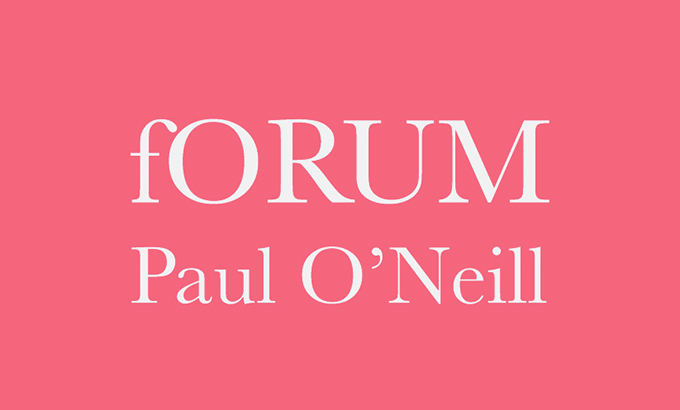 Mercer Union is delighted to announce that Paul O’Neill will give a lecture on Thursday 22 September 2016 at 6:30PM. This is presented in partnership with the MVS Proseminar at the John H. Daniels Faculty of Architecture Landscape and Design at the University of Toronto. Mobilizing the form of a performative lecture, O’Neill will reflect upon his curatorial practice, collective exhibition-making and the public as a constructed readymade. Weaving through this reflection is the statement: If it is the idea of escape – the mere word itself – that releases us from something, then language is complicit with our need to be able to, at least, imagine ourselves elsewhere. How can the language of exhibitions enable us to think about attentively about escape as a curatorial form? Dr. Paul O’Neill (B.A., M.A., Ph.D.) is a curator, artist, writer and educator based in New York. He holds a Ph.D. from Middlesex University. He is Director of the Graduate Program at the Center for Curatorial Studies, Bard College in New York. Paul has co-curated more than sixty curatorial projects across the world including: How Institutions Think, A Symposium at LUMA Foundation, Arles, (2016); Open Fold, Series of public art projects, Bristol (2014-16); The 4th Moscow Curatorial Summer School, (2015); The Curatorial Timeshare, Enclave, London (2013-14); Our Day Will Come, with Latitudes 53, Edmonton (2014-15); Last Day, Cartel, London (2014); Our Day Will Come, Part of Iteration: Again, Hobart, Tasmania (2011); We are Grammar, Pratt Institute, Manhattan Gallery, New York (2011); Coalesce: happenstance, SMART, Amsterdam (2009); Making Do, The Lab, Dublin (2007); General Idea: Selected Retrospective, Project Art Center, Dublin (2006); Tonight, Studio Voltaire, London, (2004); Are We There Yet? Glassbox, Paris (2000) and Passports, Zacheta Gallery of Contemporary Art, Warsaw (1998). He is international tutor on the de Appel Curatorial Program since 2005, Amsterdam and he has held numerous research and lecturing positions at Goldsmiths, University of London; Middlesex University; The Graduate School of Creative Arts and Media, Dublin and the University of the West of England, Bristol. Paul’s writing has been published in many books, catalogues, journals and magazines and he is a regular contributor to Art Monthly. He is reviews editor for Art and the Public Sphere Journal and is the series co-editor of Afterall’s Exhibition Histories Series. He is on the editorial board The Journal of Curatorial Studies and FIELD – A Journal of Socially Engaged Art Criticism. He is editor of the curatorial anthology, Curating Subjects (2007), and co-editor of Curating and the Educational Turn (2010), and Curating Research (2015) both with Mick Wilson, and co-published by de Appel and Open Editions (Amsterdam and London). He author of Locating the Producers: Durational Approaches to Public Art (Amsterdam, Valiz, 2011), edited with Claire Doherty and author of the critically acclaimed book The Culture of Curating and the Curating of Culture(s), (Cambridge, MASS., The MIT Press, 2012). His most recent book, The Curatorial Conundrum co-edited with Mick Wilson and Lucy Steeds was published with MIT Press in 2016. He is currently working on the book Durational Aesthetics: Time and Contemporary Art (2017) and curating the two-year exhibition project: We are the Center for Curatorial Studies for the Hessel Museum, Bard College (2016-18). Please note the gallery will also be hosting a book launch for the publication The Curatorial Conundrum, What to Study? What to Research? What to Practice? Edited by Paul O’Neill, Mick Wilson and Lucy Steeds on Friday 23 September 2016, 6.30PM at the gallery. This event is presented as part of Mercer Union’s ongoing fORUM critical conversation series, including talks, lectures, interviews, screenings and performances at Mercer Union. Free as always.